The pictures above are from a number of hand samples I recently acquired. Special thanks to Buzz Bee Toys Inc. for providing these items to iSoaker.com. For those not familiar with the term, a "hand sample" refers to a 1:1 scale model of a product, in this case, for Water Warriors brand water blasters. Hand samples allow one to physically preview how an item feels (size-wise) in one's hands and are often used as a visual tool when presenting a new product to retail buyers before proceeding into making actual production units. The idea is that if a product ends upnot being selected, no additional money is wasted producing actual items that no one has purchased. An interesting thing to note is that there are varying degrees of functionality present in these hand samples. 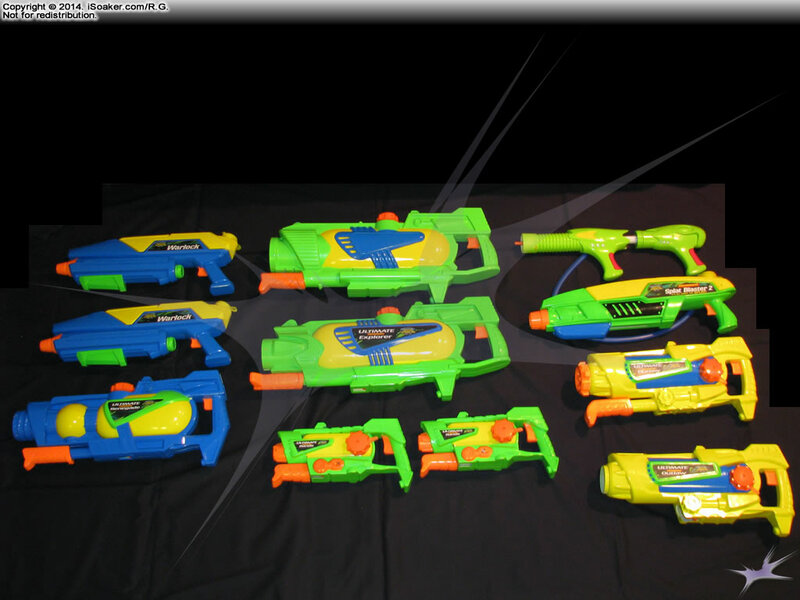 Some are more-or-less a solid "statue" of a water blaster with no moving parts while others offer some functionality (some parts may slide or attach to highlight specific product functions). 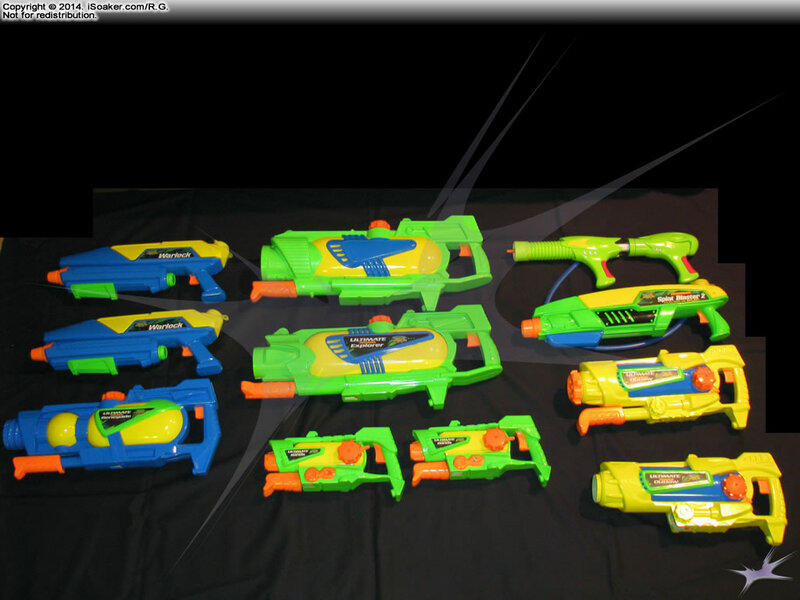 In the case of the Water Warriors Ultimate water blasters seen above, the interlocking mechanism was functional, though not as smooth to engage and disengage as found in the actual production water blasters. One other thing to note is that while hand samples are scaled 1:1 with production items, they tend to be much, much heavier. Some of the older hand samples had parts sculpted in wood. These particular ones appear to be made of various plastics and resins. 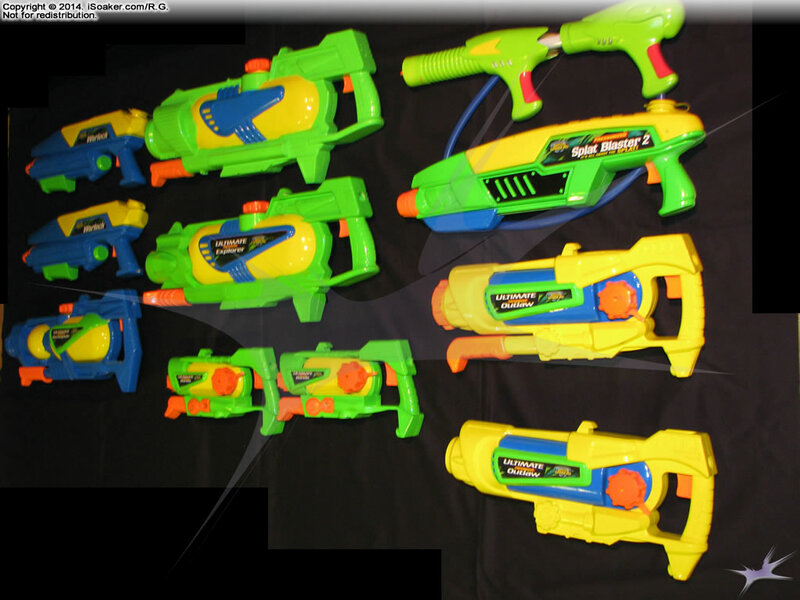 Hand samples make up part of the development process for a stock water blaster. From what I have gathered, these replicas cost a few thousand dollars to have made, thus are only created for products a company is seriously interested in mass-producing. However, it would cost several thousand more dollars and time to actually create a production sample, thus making the hand sample a good step to take to ensure there are enough buyers interested in a new product to actually justify the costs of making the actual products.